HOLLA! Inc. was featured on WTVI PBS’s Carolina Impact for their efforts to change the community. Alex Gaddy, activities director, reached out to WTVI to inform them of the mission at HOLLA! and its accomplishments and challenges. The producer of the show visited the center to capture video footage for the episode. The process for filming included the WTVI crew being on site at the HOLLA! Center conducting interviews, capturing video footage of various activities at the center and surrounding community. After the footage was taken, producers reached out for all the information Gatewood and others could give to develop the story. The staff sent pictures, news clips, videos and everything else they could. All those connected to HOLLA! were “naturally, all excited, yet anxious,” according to Gatewood. The feature focused on how HOLLA! is working to make a difference in the community through effectively forming meaningful partnerships with other organizations and the local school system. It also addressed how the organization has become a staple of the community drawing the attention of the governor’s office, the secretary of state and several major media outlets. HOLLA! 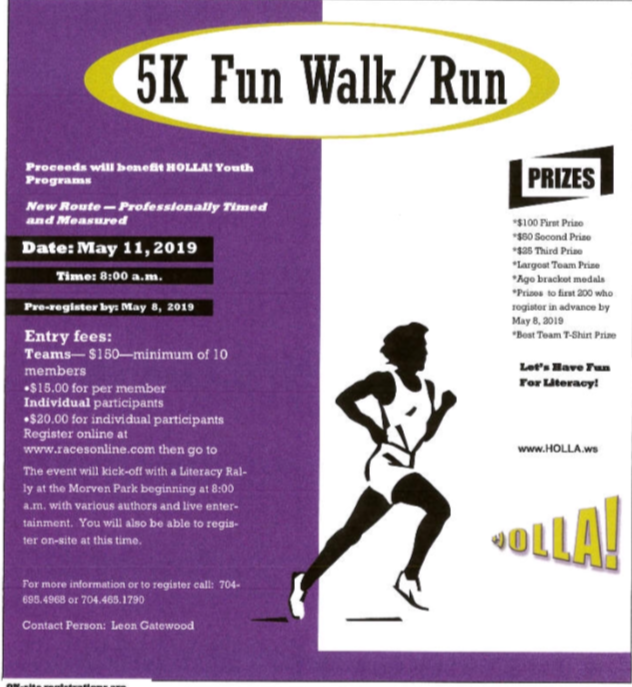 was featured for its tennis team, step team, mentoring program, summer camp, The HOLLA! Center, and other endeavors like bringing the Winston-Salem State University marching band to town, as well as Livingstone College’s Gospel Choir, marching band and step team. 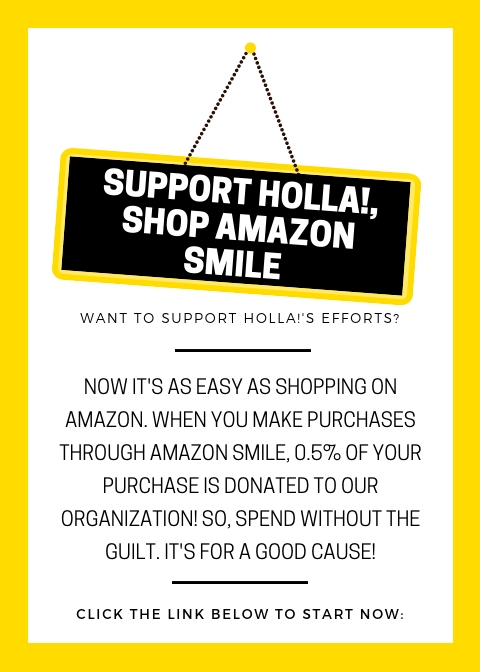 Shop Amazon Smile for HOLLA!